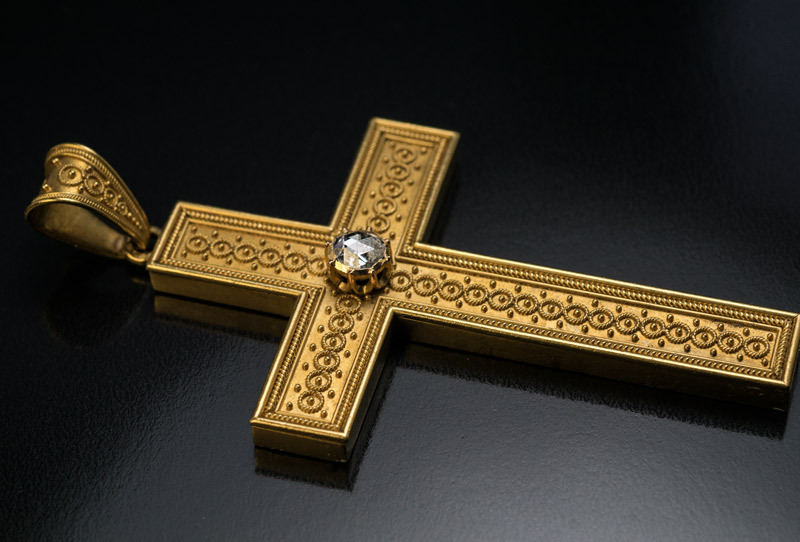 A very fine quality, 14K gold hollow cross pendant is centered with a 5 mm old rose cut diamond. 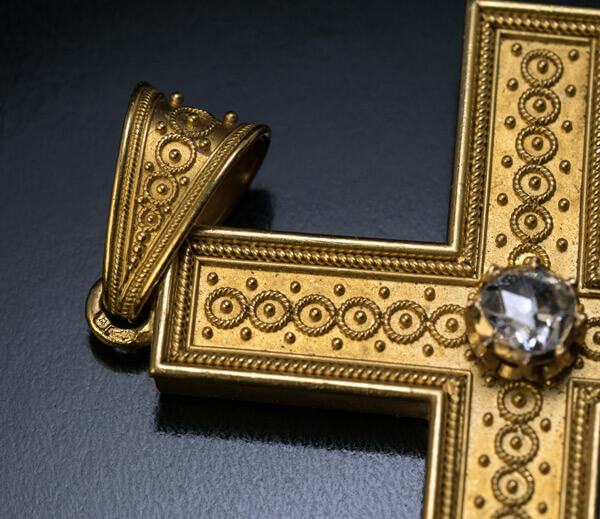 The arms of the cross are embellished with twisted gold wires (filigree) and granulations. 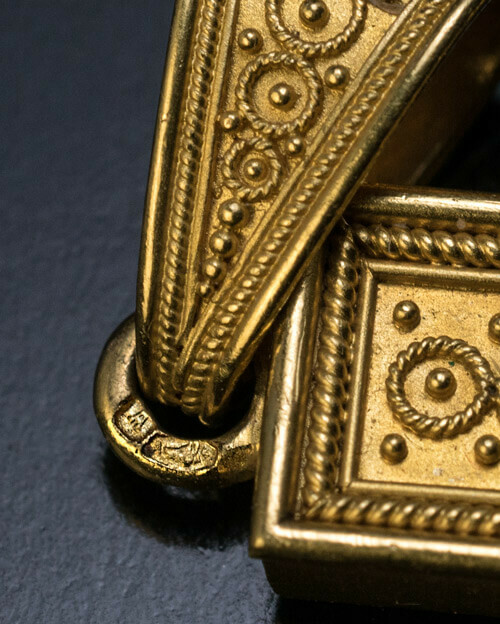 These embellishments reflect ancient Greco-Roman goldsmith techniques which became popular in jewelry that was being made at the time (1860 – 1880s). This revival style is known today as the Etruscan or Archaeological Revival. 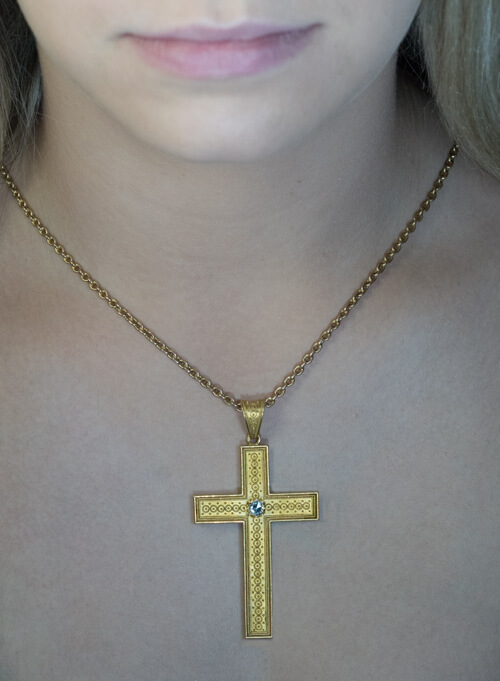 The cross is marked on the suspension ring with Austrian / Vienna fox’s head assay mark for the 4th gold standard. 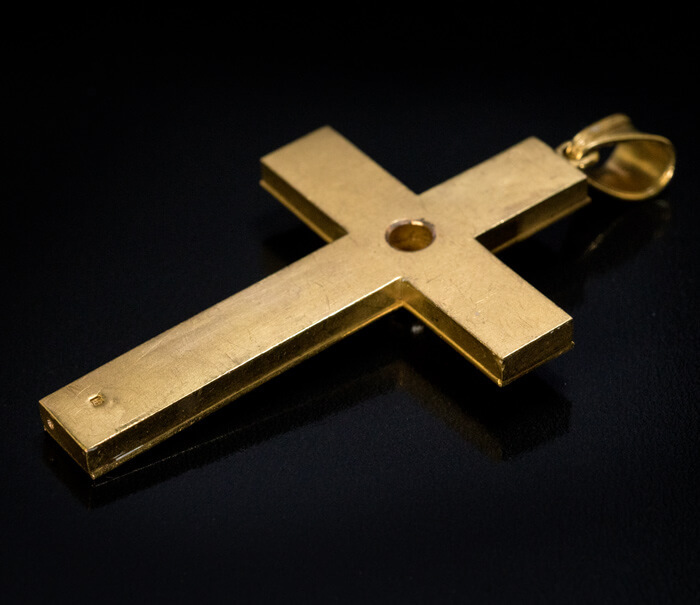 The lower arm of the cross is marked on back with maker’s mark.